The volunteers with the CEO – Gloria, who’s been working at Mary’s Kitchen for years. Monday, January 28, the JSerra Counseling Department honored Martin Luther King, Jr. by making what was a student holiday a “day on, not a day off”. Six JSerra students; Taylor Santore, Elise de Bie, Christina Desmond, Tony Desmond, Jaqueline Xu, and Arman Ashrafian joined the Counseling Department and volunteered at Mary’s Kitchen in Orange, a Catholic nonprofit organization. I chose to volunteer on my day off. Since it was a four-day weekend and I only had winter formal shopping to do, I thought it would be a more meaningful way to spend the weekend and I’m glad I did it. We had the chance to serve about 150 homeless men and women. We helped in the kitchen, unpacked food, served lunch, and sorted clothes to distribute to the homeless. I was even asked to pray before serving the meal. This was the first time I spoke in front of that many people. It was humbling to be reminded that there is this whole other world of poverty that we hardly see. It would be great if these volunteer opportunities continued at JSerra. We got the chance to work with really neat and wise volunteers. Some of the regular volunteers mentioned that Mary’s Kitchen had gone from experiencing days where only one person would come in to volunteer to a regular crew of volunteers. On the days where there was only one volunteer, friends would be called in to help. It seemed like everyone who had a chance to help for a day, loved it so much that they became regulars and returned often. Mary’s Kitchen is doing a great job at providing meals for the local homeless. They were even willing to provide us with meals and snacks all day, which were actually very delicious. We had a pretty small turnout this year, but hopefully we can send more students with the counselors to Mary’s Kitchen to volunteer in the future. I know a lot of kids wait to get involved, but I encourage people to start volunteering early on so you can really build a relationship with the place you are volunteering with. I wish I had found Mary’s Kitchen sooner because I would have loved to spend a lot of my Christian Service hours there. I know I would love to return to Mary’s Kitchen to serve, like the many other volunteers before me. It’s just that kind of place. The Counseling Department is looking forward to returning to Mary’s Kitchen. Look out for the next email from Mrs. Huie calling for volunteers if you would like to get involved. To learn more about Mary’s Kitchen or to volunteer please visit the Mary’s Kitchen website. 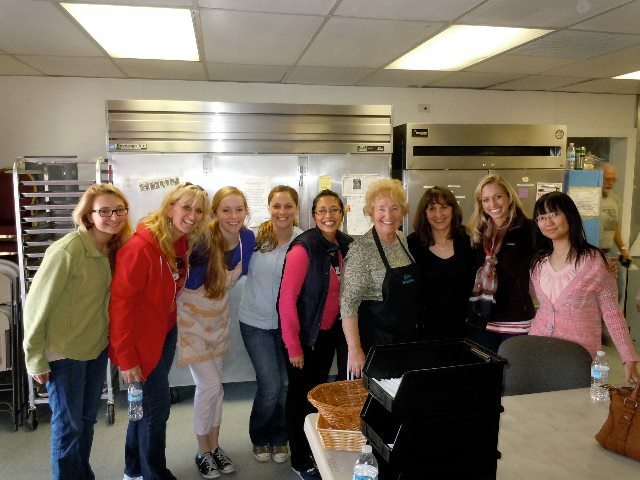 For photos from Mary’s Kitchen visit JSerra Counseling on Facebook.